I am sure most of you must have heard or come across this question. We know that cloud computing is on the rise. Many companies have started using cloud and those that haven’t taken it seriously are thinking of moving to cloud computing. What about you? Are you using a cloud? What type of cloud will be appropriate for your website requirements? These questions need to be answered before deciding on the cloud hosting type that you wish to have for your website. Let me provide you with a basic description of cloud computing and its types to help you select the one that is suitable to your website requirements. Cloud computing is a type of computing that mainly depends on resource sharing instead of handling applications by local servers or individual devices. Using the internet enabled devices, cloud computing permit the function of application software. Cloud computing, also known as the cloud, can be used as a synonym for the Internet. Cloud computing can serve a diverse range of functions over the Internet like storage and virtual servers; applications and authorization for desktop applications. By taking advantage of resource sharing, cloud computing is able to achieve consistency and economies of scale. The types of cloud computing are classified based on two models. Cloud computing service models and cloud computing deployment models. Cloud hosting deployment models represent the exact category of cloud environment and are mainly distinguished by the proprietorship, size and access. It tells about the purpose and the nature of the cloud. Most of the organisations are willing to implement cloud as it reduces the capital expenditure and controls operating cost. In order to know which deployment model matches your website requirements it is necessary to know the four deployment models. Public Cloud: is a type of cloud hosting in which the cloud services are delivered over a network which is open for public usage. This model is a true representation of cloud hosting; in this the service provider renders services and infrastructure to various clients. The customers do not have any distinguishability and control over the location of the infrastructure. From the technical viewpoint, there may be slight or no difference between private and public clouds’ structural design except in the level of security offered for various services given to the public cloud subscribers by the cloud hosting providers. Public cloud is better suited for business requirements which require managing the load; host application that is SaaS-based and manage applications that many users consume. Due to the decreased capital overheads and operational cost this model is economical. The dealer may provide the service free or in the form of the license policy like pay per user. The cost is shared by all the users, so public cloud profits the customers more by achieving economies of scale. Public cloud facilities may be availed free an e.g. of a public cloud is Google. Private Cloud: is also known as internal cloud; the platform for cloud computing is implemented on a cloud-based secure environment that is safeguarded by a firewall which is under the governance of the IT department that belongs to the particular corporate. Private cloud as it permits only the authorized users, gives the organisation greater and direct control over their data. What exactly constitutes a private cloud? It is difficult to define because when it’s classified according to the services there are significant variations. 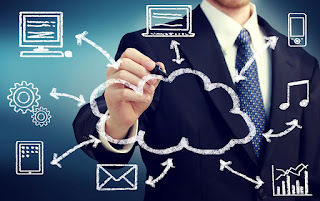 Whether the physical computers are hosted internally or externally they provide the resources from a distinct pool to the private cloud services. Businesses that have dynamic or unforeseen needs, assignments which are mission critical, security alarms, management demands and uptime requirements are better suited to adopt private cloud. Obstacles with regards to security can be evaded in a private cloud, but in case of natural disaster and internal data theft the private cloud may be prone to vulnerabilities. Hybrid Cloud: is a type of cloud computing, which is integrated. It can be an arrangement of two or more cloud servers, i.e. private, public or community cloud that is bound together but remain individual entities. Benefits of the multiple deployment models are available in a hybrid cloud hosting. A hybrid cloud can cross isolation and overcome boundaries by the provider; hence, it cannot be simply categorized into public, private or community cloud. It permits the user to increase the capacity or the capability by aggregation, assimilation or customization with another cloud package / service. In a hybrid cloud, the resources are managed and provided either in-house or by external providers. It is an adaptation among two platforms in which the workload exchanges between the private cloud and the public cloud as per the need and demand. Resources that are non-critical like development and test workloads can be housed in the public cloud that belongs to a third-party provider. While the workloads that are critical or sensitive must be housed internally. Consider an e-commerce website, which is hosted on a private cloud that gives security and scalability, since security is not a prime concern for their brochure site it is hosted on a public cloud which is more economical as compared to a private cloud. Businesses that have more focus on security and demand for their unique presence can implement hybrid cloud as an effective business strategy. When facing demand spikes the additional resources that are required by a particular application can be accessed from the public cloud. This is termed as cloud bursting and is available with the hybrid cloud. Organisations can use the hybrid cloud model for processing big data. On a private cloud, it can retain sales, business and various data and can initiate analytical queries over the public cloud as the public cloud is effective to meet the demand spikes. Hybrid cloud hosting is enabled with features like scalability, flexibility and security. If one is ready to overlook a few challenges like application program interface incompatibility, network connectivity issues and capital expenditures, then the hybrid cloud would be an appropriate option. Community Cloud: is a type of cloud hosting in which the setup is mutually shared between many organisations that belong to a particular community, i.e. banks and trading firms. It is a multi-tenant setup that is shared among several organisations that belong to a specific group which has similar computing apprehensions. The community members generally share similar privacy, performance and security concerns. The main intention of these communities is to achieve their business related objectives. A community cloud may be internally managed or it can be managed by a third party provider. It can be hosted externally or internally. The cost is shared by the specific organisations within the community, hence, community cloud has cost saving capacity. A community cloud is appropriate for organisations and businesses that work on joint ventures, tenders or research that needs a centralised cloud computing ability for managing, building and implementing similar projects. 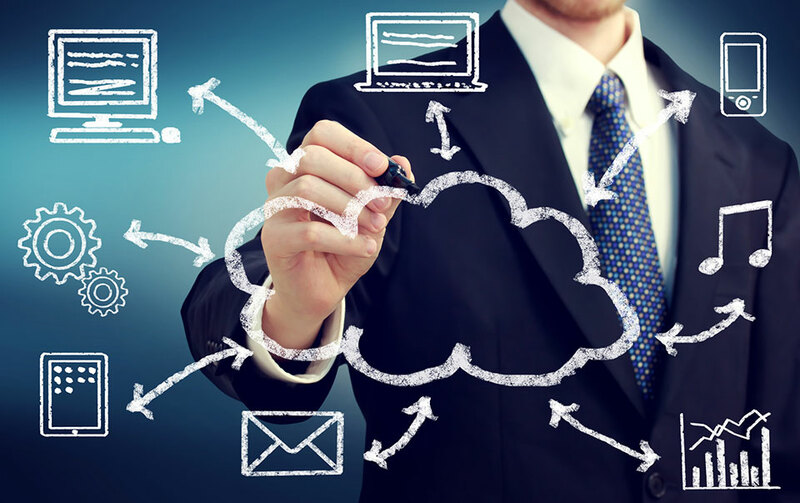 Organisations have understood that cloud hosting has a lot of potential. To be the best among the rest, selection of the right type of cloud hosting is needed. Thus, you need to know your business and analyze the demands. Once the appropriate type of cloud hosting is selected, you can achieve your business related goals more easily, you can channelize all your efforts to take those strategic steps that will help your business to succeed.